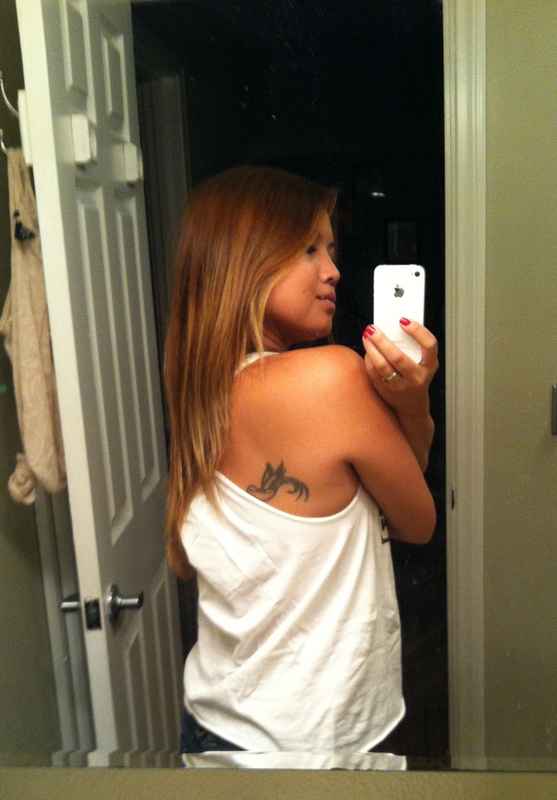 I’ve never been much of a “do-it-yourself”-er, but I needed a new tank top the other day. Still unaccustomed to the continuous sunny weather, I’ve exhausted the rest of my tanks and tees. So I did what any female in the present culture would do – – I went to Pinterest. As previously mentioned, I don’t typically reach too deep into my pockets when it comes to shopping for clothes. Splurges are usually saved for accessories: jewelry, watches, wallets, purses, and the like. When it comes to clothes, I’m too fickle to drop multiple dollar signs on one item. So I decided to look at what I already had in my closet. 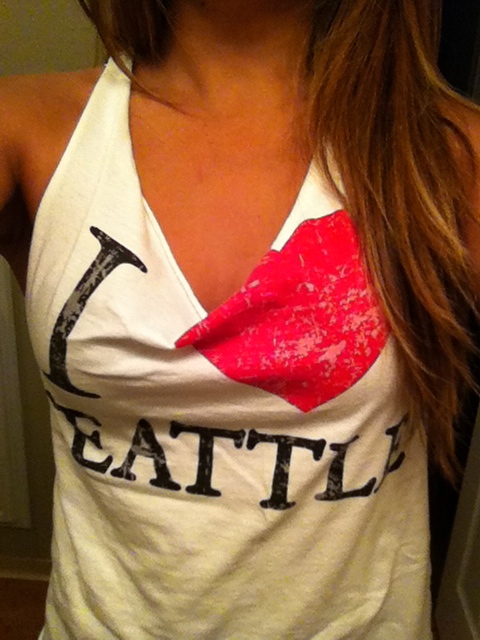 One of my best friends, Lindsay, gave me some Seattle t-shirts as a gag gift when we left for San Diego. As much as I adore oversized, crew-cut Men’s t-shirts, I thought I could spare one for a DIY experiment. 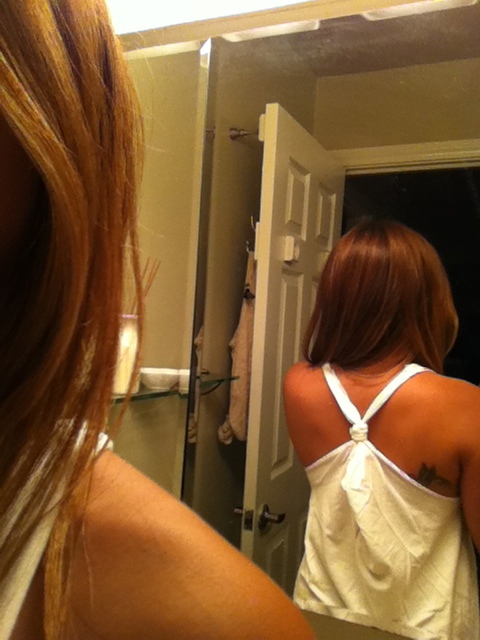 For the past few months on Pinterest I’d seen tutorials on creating loose-fitting, racer-back tank tops from oversized tees. I searched for the same and found an easy tutorial by “glintzy” on YouTube. I liked the look of her finished product and decided to follow her instructions. Below are pictures from my end result. Buy scissors made for cutting fabric: I was in a rush and used a pair of household scissors. I wasn’t able to cut as precisely as I wanted, and the edges weren’t as clean. Cut the straps slightly more narrow to obtain a “stringy”effect. Try the t-shirt on before you cut, to determine how low you want the neckline to be. Play with the height of the back tie-off to change the fit. You can find the YouTube tutorial here: http://www.youtube.com/watch?v=sZlW6GspLls&feature=related.